Statue with Holiday Lights, Sedona ©2017 James D Peterson. Sedona's Tlaquepaque Arts and Crafts Village always has great holiday decorations and festivities. 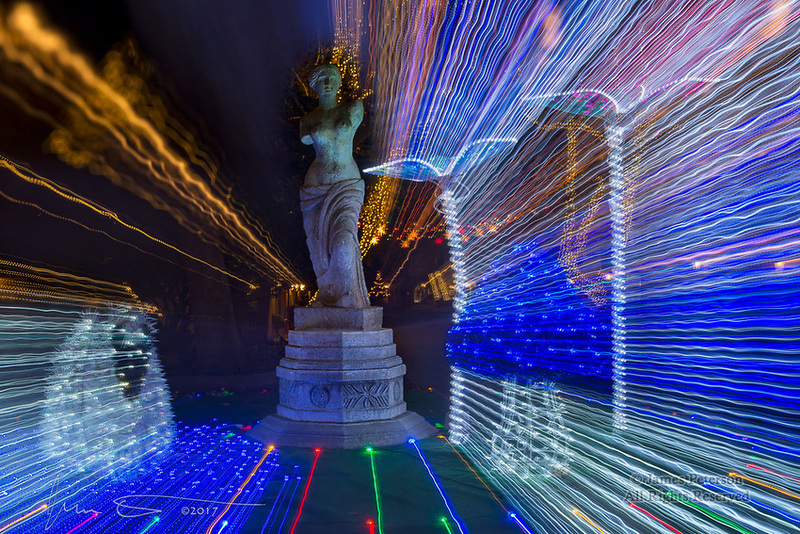 This holiday display was put into warp drive by zooming my lens during a long exposure.